Using chilled water to cool a building or process is efficient and flexible. A two-inch Schedule 40 pipe of chilled water can supply as much comfort cooling as 42" diameter round air duct. 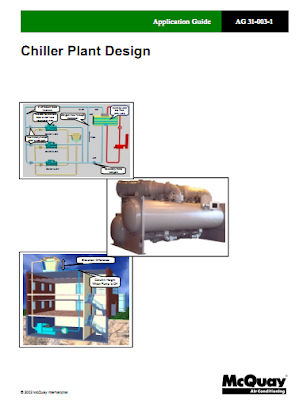 The use of chillers allows the design engineer to produce chilled water in a central building location or even on the roof and distribute the water economically and without the use of large duct shafts. Chilled water also provides accurate temperature control that is especially useful for variable air volume (VAV) applications. chilled water systems including variable flow pumping systems.